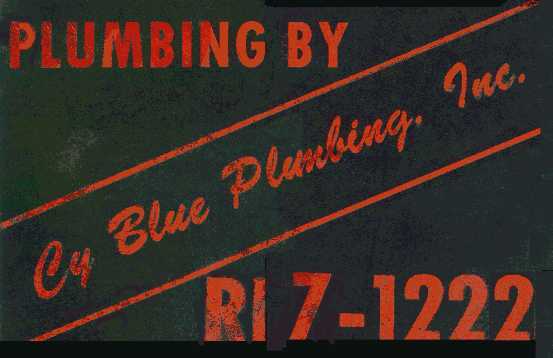 Cy Blue Plumbing, Inc. was founded in Sarasota, Florida in 1943. In 1944, the Wolf family acquired the business and have remained the owners and operators to the present time. The third generation of the Wolf family manages the day-to-day operation of the company. • Arrive at the job on time or call if we'll be late. • Leave the area as clean or cleaner than when we arrived. • Do the job right the first time. • Enjoy the benefits of a satisfied customer. Perhaps those are some of the reasons we're still in business! FAQ's | Service Orders | Contact Us!